Click to see more Water Environment Federation (Alexandria, Va.) advertisements. The Water Environment Federation (WEF; Alexandria, Va.) has designed a series of advertisements to promote membership, events, publications, and other WEF programs and products. WEF invites leaders and members from its Member Associations to use these advertisements in journals, magazines, and newsletters to further promote training and educational programs to WEF members. 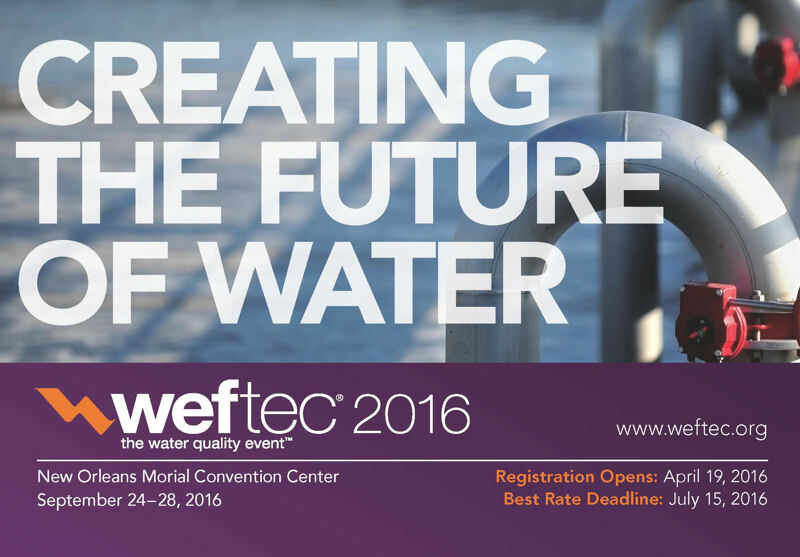 Most recently, WEF released full- and half-page advertisements for WEFTEC® 2016. All advertisements are free, available online, and allow users to size the content as required.